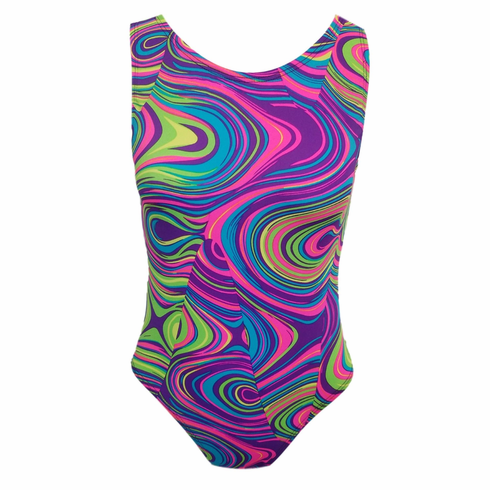 Keep it exciting in the gym with this Fun Dreamy Swirls gymnastic leotard for girls in Purple Pink Green and Turquoise. You can choose matching shorts and scrunchies or go to our Shorts and More page and get a pair of shorts in Solid spandex. Pink, Purple, Neon Green, or Turquoise would totally look amazing! !